All afternoon activities have been cancelled today. April 8, 2019. There will be no softball practice this afternoon. The Scholastic Book Fair opens on Monday. We hope you'll stop in during Parent-Teacher Conferences on Wednesday and Thursday when the book fair will be open until 6:30. Thanks for your support! The Scholastic Book Fair is coming April 1 - 5. 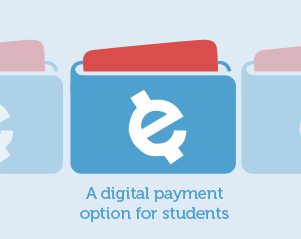 Students can browse and shop during the school day. Community hours will be during parent-teacher conferences on Apr. 3 & 4 until 6:30. Hope to see you at the book fair! 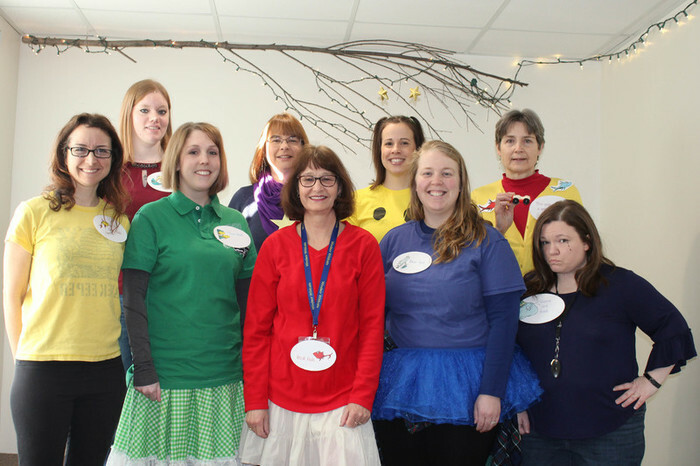 One fish, two fish...middle grade staff got into the spirt (and costumes) celebrating Dr. Seuss' birthday and Read Across America Day. 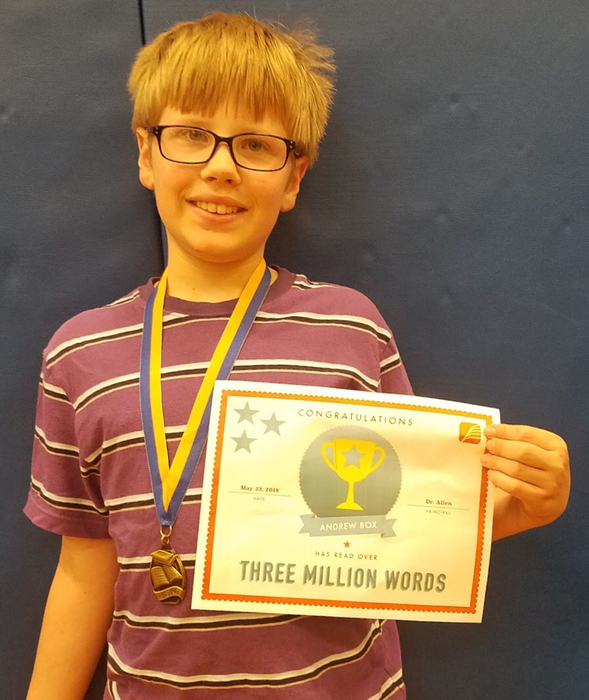 Students and staff read throughout the day, reading more than 3,500,000 words! We're celebrating Read Across America Day tomorrow, in honor of Dr. Seuss' birthday. When we work together as a community to encourage our children to read, to quote Dr. Seuss, "the more you read, the more you know. 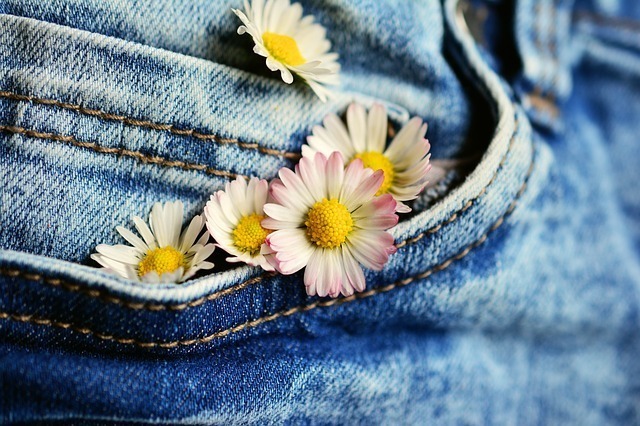 The more you know, the more places you'll go." 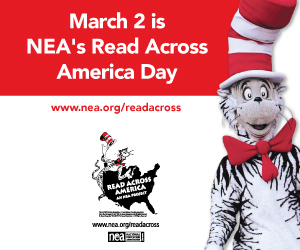 We'll be celebrating Read Across America Day on Friday, March 1st. It will be a day for reading! Students can dress up as favorite book characters and enjoy reading and reading-themed activities throughout the day. 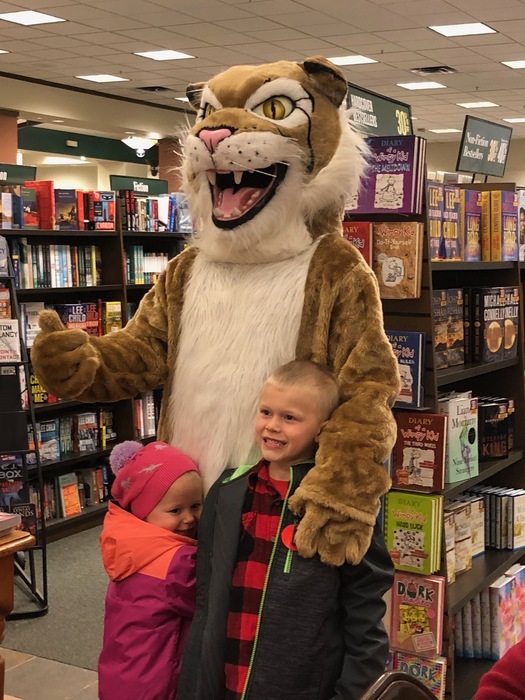 It was another fun evening at our annual Barnes & Noble Book Fair. Thanks for your support! 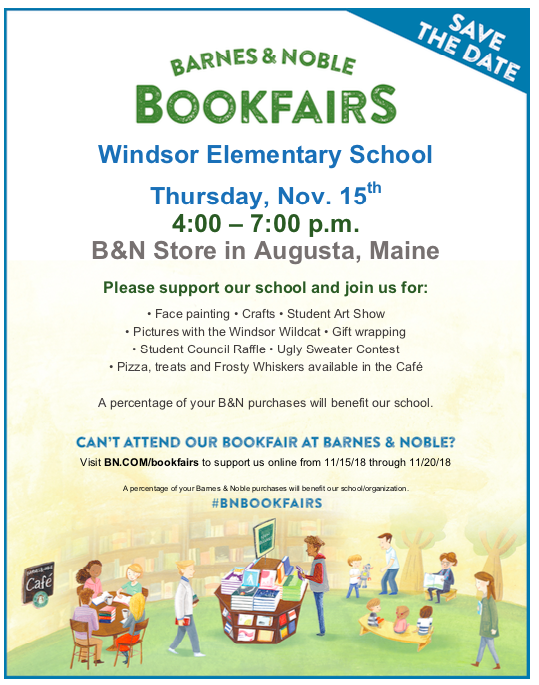 Save the date for our annual Barnes & Noble Book Fair at the Augusta store. It's next Thursday, Nov. 15, from 4:00 - 7:00. It's always a fun evening! Thanks for your support. Thanks for your support! The book fair was a success. Here's just some of the new books we got for the library during the fair. You can still shop online through Nov. 1st. Day 3 of the book fair! We're open today and tomorrow until 6:30. Thanks for your continued support! All proceeds help us buy books for the school and library. 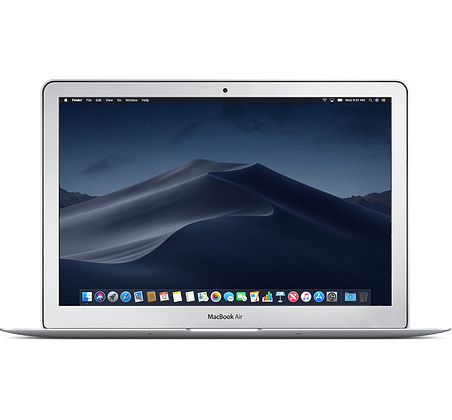 Meetings for parents or guardians of 7th & 8th grade students regarding laptop take-home privileges are today, Tuesday, Oct 16, 2018, at either 2:30 or 5:30. 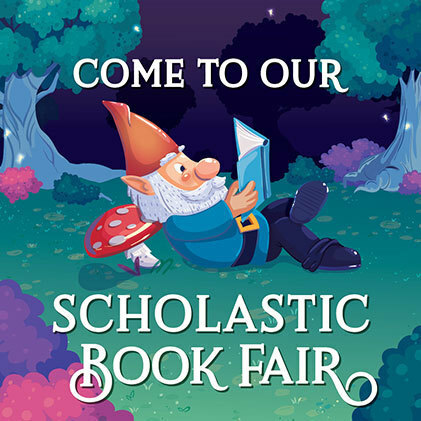 Mark your calendars for our fall Scholastic Book Fair, running in the school library from Oct. 22 - 26. We'll be open during Parent-Teacher Conferences, too. See who's hanging out in Ms. Diket's classroom! Thanks to all who supported her Amazon Wishlist. Thanks to the Maine State Aquarium for outfitting her classroom with the critters and knowledge of how to maintain the tank. Thanks, PAWS, for the sweet treat to start off the school year! We're glad to be here...and we're glad you're here. The library will be open this summer on Tuesdays from June 26 - July 24. Hours will be 10:00 a.m. - 2:00 p.m. We hope you'll stop in with your kids to check out books! Library books are all due this Friday, June 15th. Please help your children look for any library books at home and return them to school. Thank you! 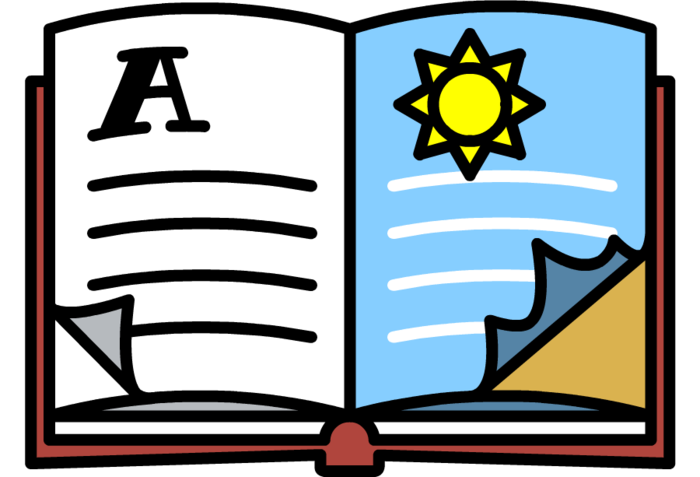 Stock up on summer reading at the Buy One, Get One book fair at the Chelsea Elementary School library next week. It will be open after school until 7:00 p.m. on June 4 & 6 (Monday & Wed.). Our top reader, two years in a row! 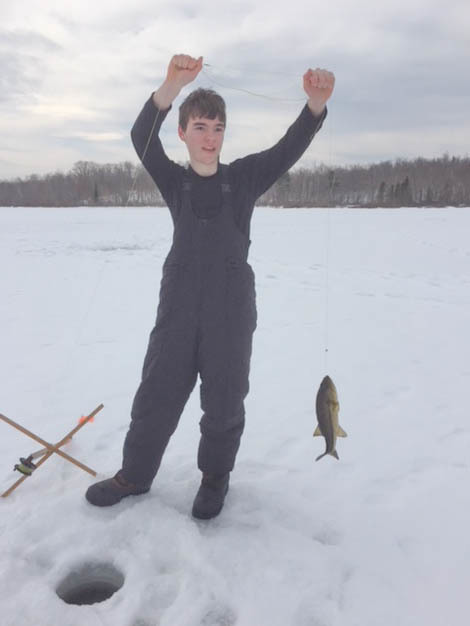 Congratulations, Andrew Box! Thanks you, PAWS volunteers! You gave us a treat and showed us appreciation every day last week. We appreciate you! Thank you, PAWS, for the wonderful breakfast this morning! We appreciate all you do for us. We've got a new cozy area in the library for our early reader books. The rug is thanks to a bonus for running another Scholastic Book Fair. Thanks for your support! 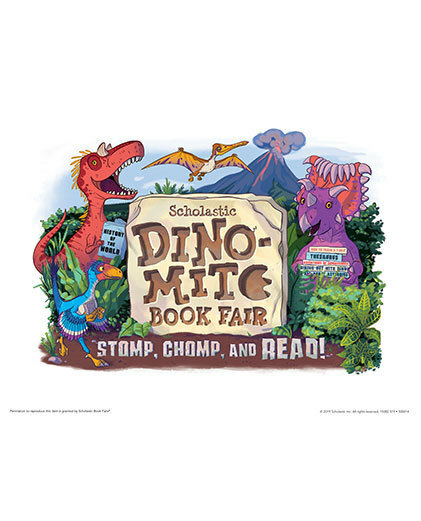 The Scholastic Book Fair starts today. 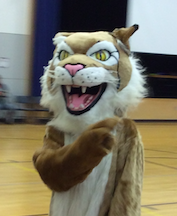 It will be open for students during the school day and also open during Parent-Teacher conferences. Thanks for your support! 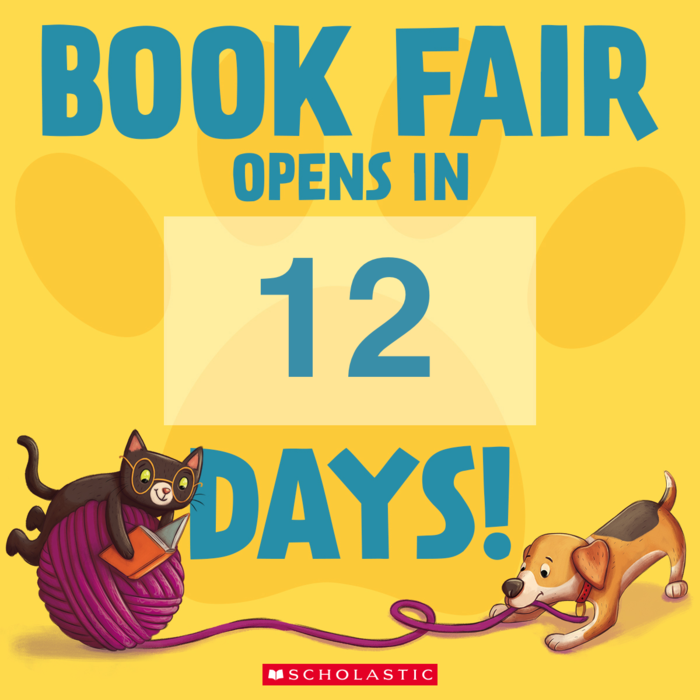 Mark your calendars for the Scholastic Book Fair, April 2 - 6. Proceeds from the sale help us buy library and classroom books. Thanks for your support! 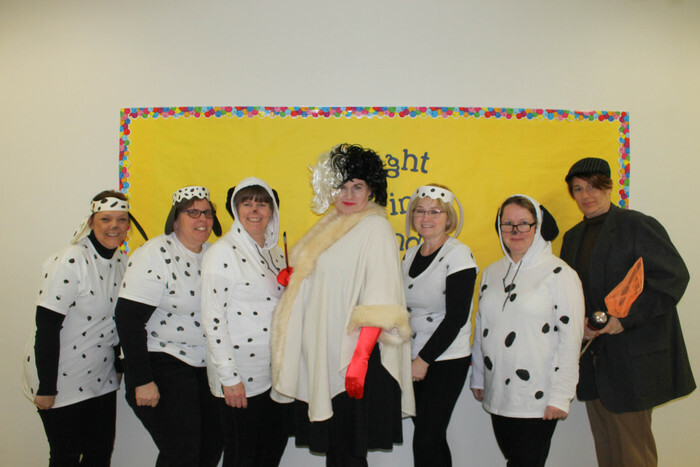 It was very busy in the library today (with students and Dalmatians checking out books)! We finished Read Across America day with over 3 million words read by students. They read all day, everywhere! 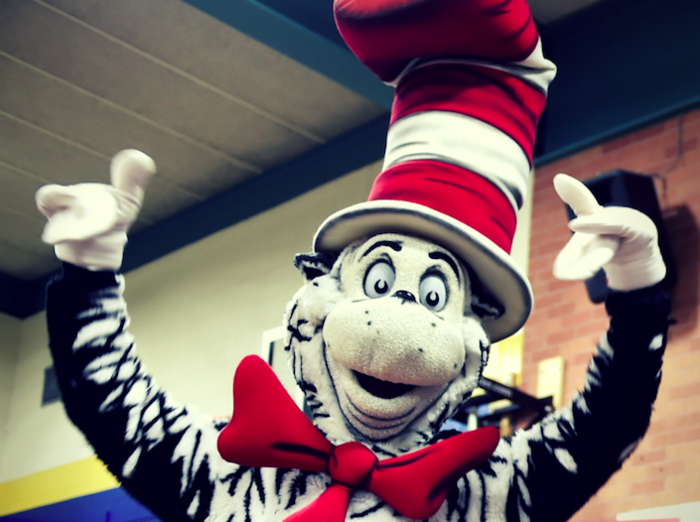 The Cat in the Hat pays a visit to the school library on Dr. Seuss' birthday. Read Across America Day begins! Read Across America day is this Friday! We'll be reading up a storm on Friday! 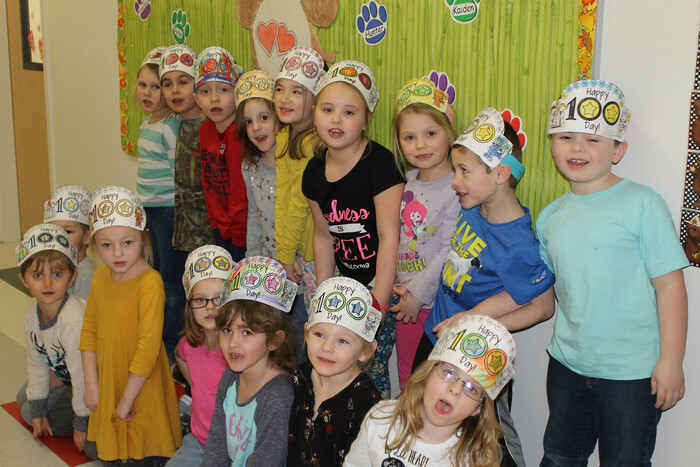 Mrs. Mark's class celebrating 100 days of school! We'll be taking part in Read Across America on March 2nd. 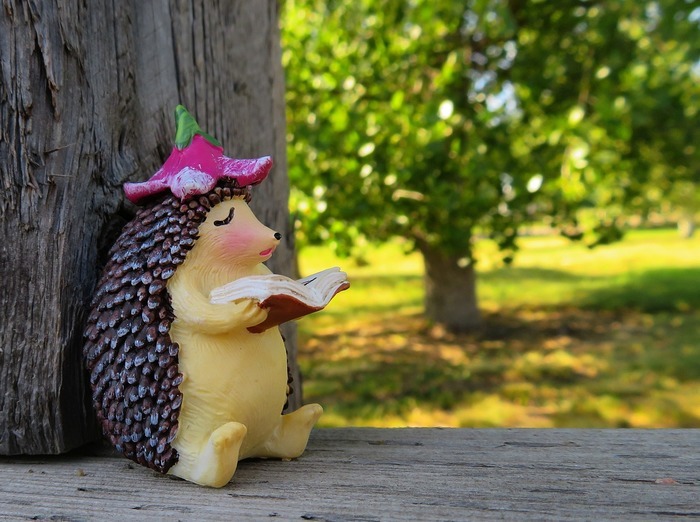 We're looking forward to a day filled with reading! 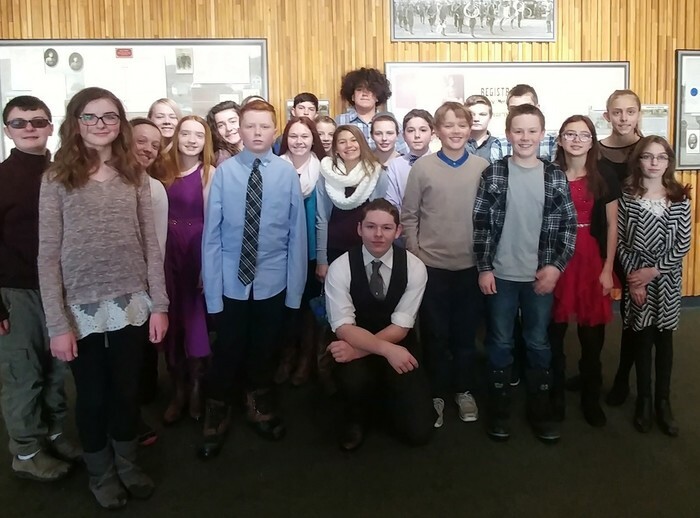 On February 8th, the Windsor 7th grade class was recognized by the Maine State House, as was, Saber Hanington for his first place finish on the Maine State Native American Essay Award. 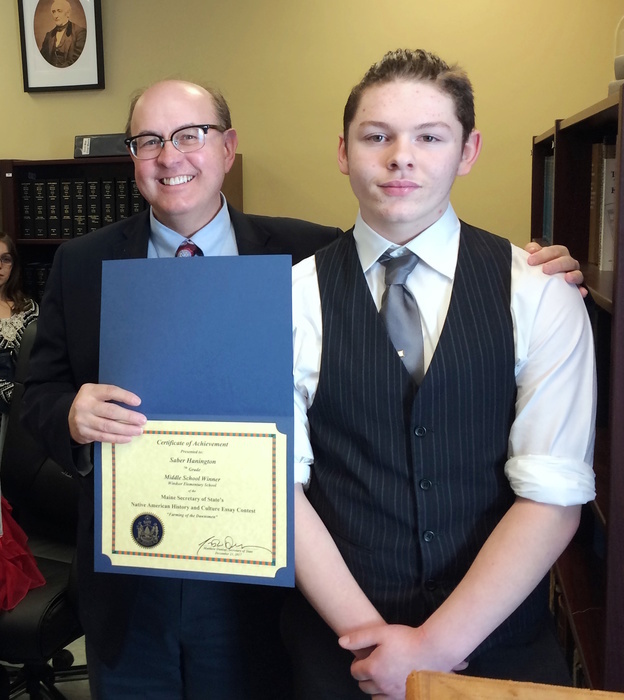 After the House visit, Saber was presented with his award by the Secretary of State, Matthew Dunlap. Saber's mother, Amber Michaud and his grandmother, Bev Michaud were also in attendance. 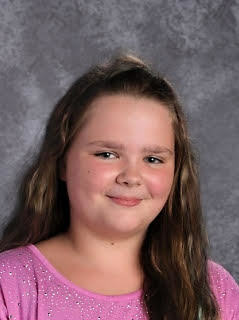 Reese Sullivan, 6th grade student at Windsor Elementary, has been named the winner of the Canines for Charity National Essay Contest for grades 6-8. 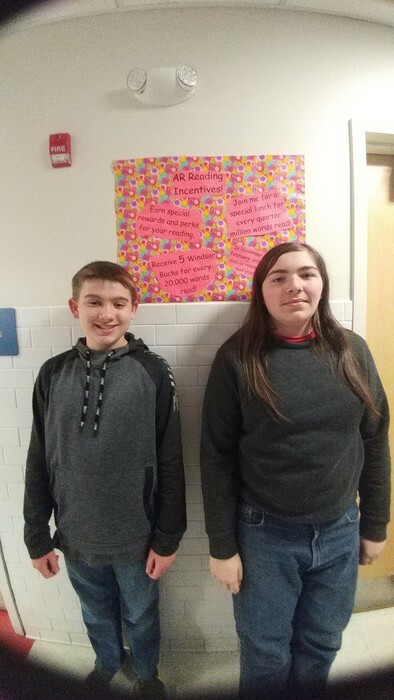 The students wrote an essay about a humorous time with their pet. The national contest is run by Pam and Floyd Dunn of Canines for Charity. The Wyoming organization has raised funds for charities for over 20 years through their dog sledding events. Sullivan is the daughter of Matt and Cheryl Sullivan of Windsor. 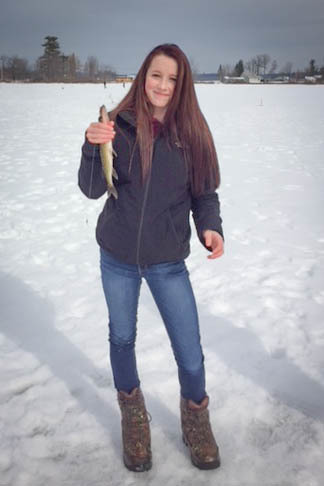 Sullivan will receive a $50 cash prize for her winning work. More information about the essay contest and the organization can be found at http://www.caninesforcharity.org or on their facebook page, Canines for Charity. 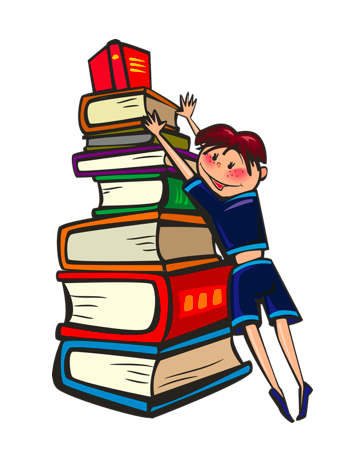 Take the #ReadtoME challenge - starting now! 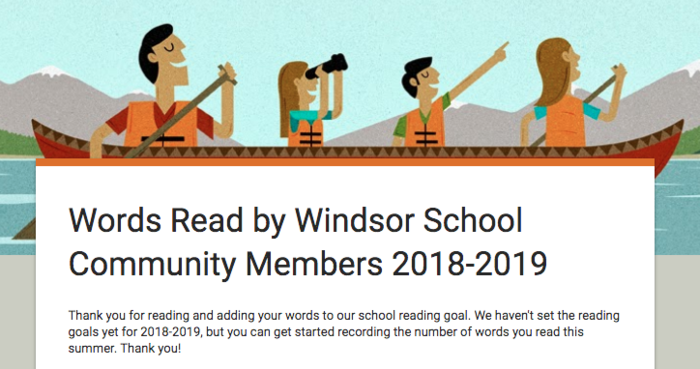 Get ready for the Read to ME Challenge starting on Feb. 1st. Read to a child, or have a child read to you, for at least 15 minutes. Capture & share a 15-30 sec video or photo of you reading. 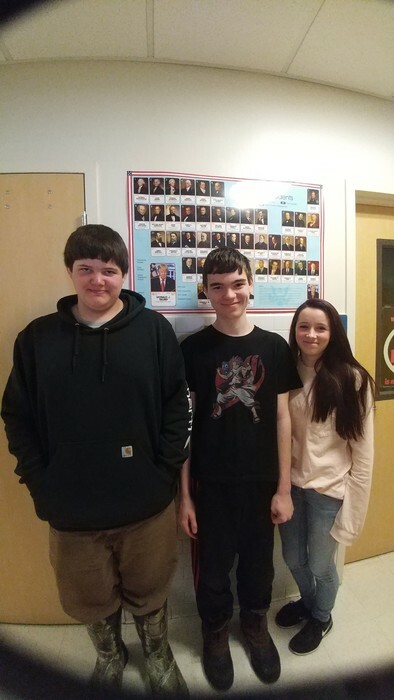 Congratulations to the winners of the Secretary of State's Native American Essay Contest. Just a reminder there is no school tomorrow Friday, January 12th due to a teacher workshop, and Monday January 15th Martin Luther King Jr. Day. 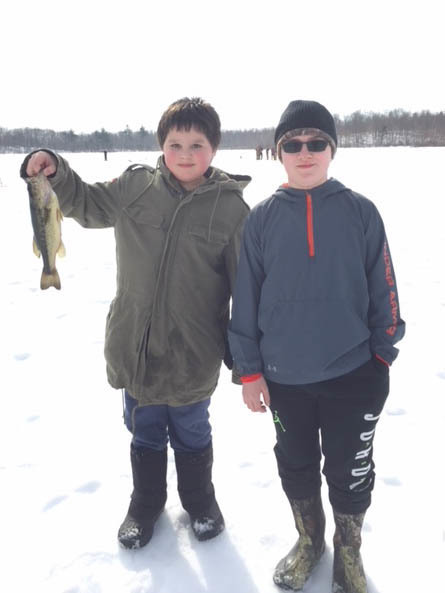 enjoy the 4 day weekend! 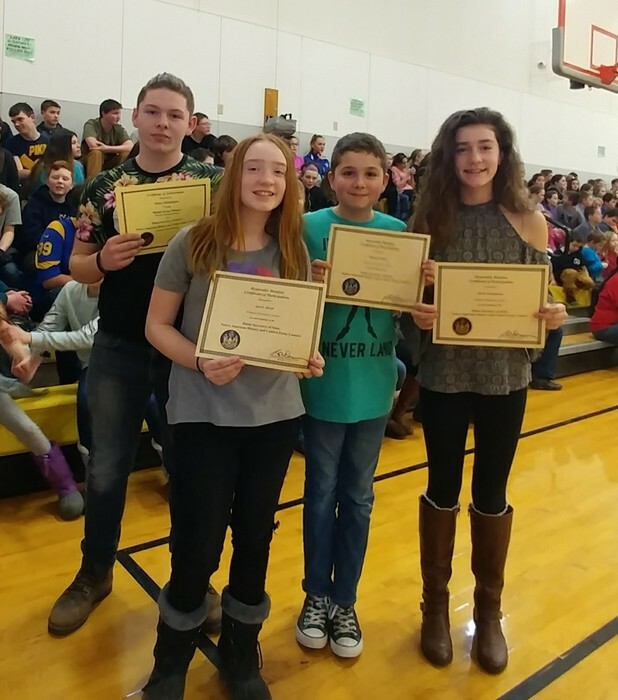 We had our monthly assembly this afternoon celebrating our wonderful Wildcats, Students of the Month, top AR readers, Math Masters and winning writers. This month's Habit of MInd is Goal-setting. Dr. Lindsey Carnes visited Mrs. Williams' 6th & 7th grade classes yesterday. Students learned how to design a cover for their Habits of Mind Project using Keynote and basic techniques for graphic design. Due to the upcoming storm this Tuesday night, the Windsor Holiday Concert has been rescheduled to next Tuesday, December 19th. 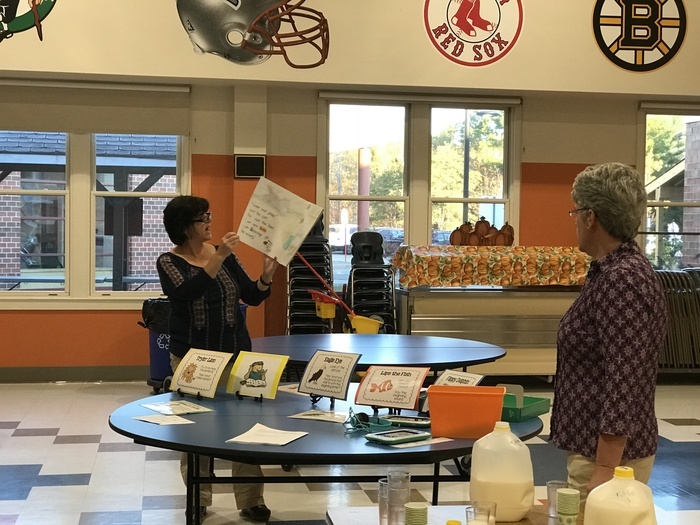 The Title I program held a breakfast Tuesday for their students and families. They shared strategies for supporting reading and showed the new Leappads made possible by a Perloff Foundation grant.